Purchasing a fine work of art should be an enjoyable personal experience. We want you to be thrilled with your acquisition. Our approval policy allows you to take a work home and view it in your surroundings to ensure you have chosen well. We would be happy to answer any questions you might have by telephone or email. 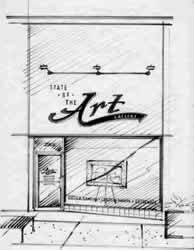 State Of The Art Gallery Inc.